Is this the most powerful sword that you can create in Minecraft? The Last Sword You Will Ever Need 1.7.2 and 1.7.10 is a mod that allows us to develop only a sword, but is one of the most powerful swords of Minecraft. Once we possess this sword we will be practically invincible, although it will not be easy to get them. To get to create this sword in survival mode, we have defeated the wither and have a lot of diamonds in our chests. 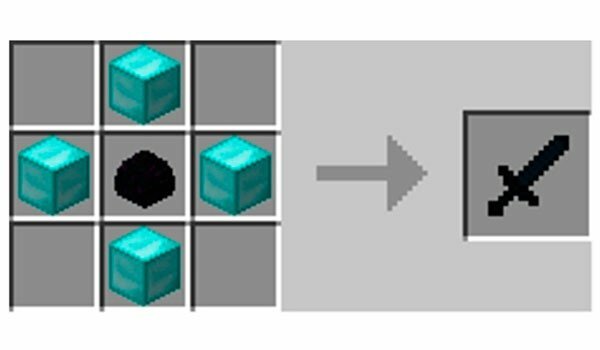 Since we need to create the sword using 4 Wither Star to start crafting this sword, then a lot of diamonds in order to evolve the sword. The sword can evolve up to 10 levels of power. Above level 10 we will get the final sword. How to install The Last Sword You Will Ever Need Mod for Minecraft 1.7.2 and 1.7.10? ¡The most powerful sword of Minecraft!